Today we celebrate the graduation of 11 children who have studied in the culture of the Pulangiyen and adjacent talugan (communities). They follow the tradition of APC – learning being for the good of the community and not simply for the individual. This is the 9th graduation where children can be directly admitted to high school and not have to take placement exams, so we have had about 100 graduates and many have found the opportunity to go to high school. This is the 20th year since people began in earnest to have education in Bendum. We celebrate this May the community’s construction of a classroom where a log deck had fallen into disuse. Twenty years of hope and effort has resulted in many graduates not just from grade and high school but college. Many more youth have returned home to live in their communities and contribute to the life and security of those who live together. We also have six graduates this year from high school. This last semester has presented the most basic challenge of securing the daily continuity of school operations that were twice interrupted by the presence of arms in the village. All need to understand the importance of having no arms present in the area. The concern is not just the possibility of crossfire, accidents or of drawing an attack. Any such power does not give us meaningful peace, and furthermore, children do not benefit from mimicking such actions. The teachers played a valuable role in identifying the important objective of continuing with classes and were able to ask those with arms to leave the area for the greater good. This showed a unity and integrity in how the teachers acted that sets the basis for maintaining in the future the stability needed. During the year, we deeply missed Jenny Lynn Lee, our Program Manager, who had to leave to be with her family. We are deeply grateful for the support she has developed for the program and the solid management reference she has established. Femie Faller of Ateneo de Davao University has stayed with us during the year and has given strength to sustaining the critical lesson plans for each semester. Classes have continued on the other side of the Pulangi in Sitio Nabawang with strength. The next phase presents us with many challenges that we must work at. Others are on study in Malaybalay, Didang and Buging, taking education courses, and hopefully returning back to the communities in the future to use what they have learned. 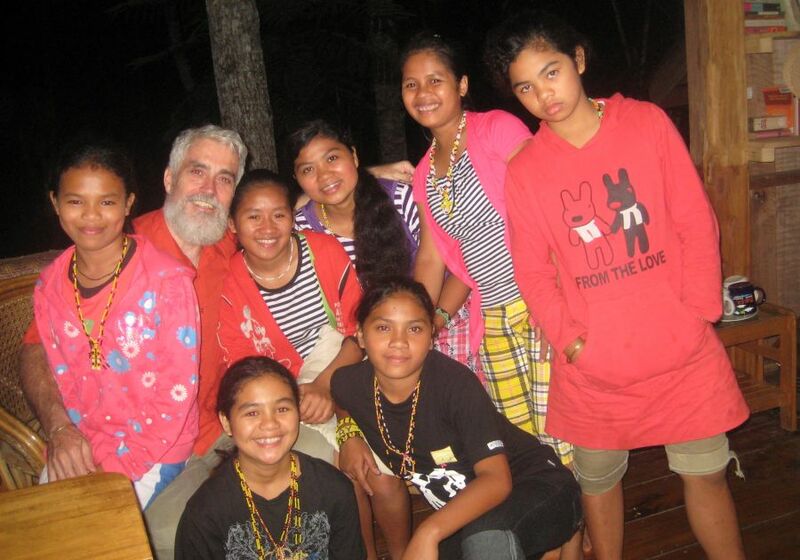 All around this has been happening the Hulas (a two-month youth skills program) and the Tapok (a youth gathering for peace) – these have given strength to the integrity of the work with the community as a whole. People from the national and regional offices of the Department of Education have visited many times and we have talked with them in Manila. They value the approach to culture-based education and see its importance under their program of multilingual education. They understand the difficulties with managing to set up the standards and maintain them through competences and lesson plans. They want to use the lessons learned here in other places and they ask for our assistance. So where are we in APC going in the year ahead? Summer break follows, including a short break for the teachers, after which they are back to prepare for the next school year. There is the construction of a new Kinder room allowing space for a Science room and a new set of comfort rooms. We look forward to more work on the curriculum and the development of reading materials in the language. We welcome Maribel Porras as our new Program Manager to lead us in these efforts. Enrollment for the next school year will be on May 30 and 31. Classes start Monday, June 4th. I am hoping to see all the younger grade children return and expect more children who are not in school to be encouraged to study. To the graduates, congratulations and bring with you what you have learned in APC and the good memories as you continue your journey in life – draw from it strength when you feel weak. Seek always the truth of the situation as you make decisions and be a source of peace.